The BBC has confirmed that its popular radio app is now officially available around the world. iPlayer Radio first became available outside the UK last month in the Republic of Ireland and the USA. Now the app is available internationally via the relevant country-specific app stores for iOS, Android and Amazon. Users who downloaded the app in the UK before going abroad have been able to access iPlayer Radio internationally prior to this development. 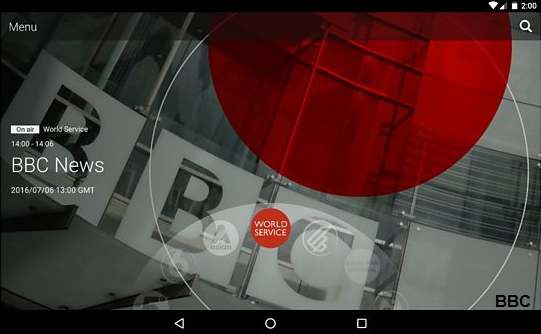 Outside the UK, iPlayer Radio will default to BBC World Service English, but will also enable access to the BBC's UK radio stations. Some output, including BBC Radio 5 Live Sports Extra is not available outside the UK due to sports rights issues.